I just disembarked from my “virgin” cruise vacation. 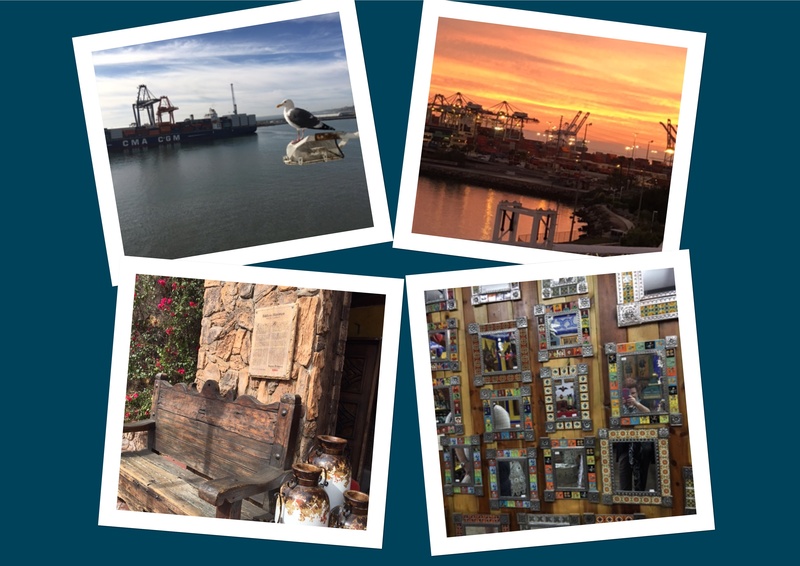 It was short and sweet – 72 hours from Long Beach to Ensenada, on the Carnival Cruise Line – Inspiration. I was expecting the entire time to be spent in my cabin waiting for the “horror” to end. See, I get sea- sick looking at bath water, so I was predicting a miserable time. I was wrong! It was fabulous and hubby and I had a great time – really! Our trip left from the Port of Los Angeles at sundown. A great photography opportunity. Once out to sea, we went to explore the ship and what it had to offer. This “mini-city” on the sea was packed with about 2400 travelers and quite a bit of activities that were well organized and advertised via their ship’s brochure that was easily found in each cabin. The food was so-so (probably the worst part of the trip), but the fitness center, outdoor track, spa and water actives were quite fun. The people we met were from as far as Europe and a close as Long Beach, the city where we set sail. Not many people write about cruising for “newbies” in a way that is raw and honest. So, I will take this opportunity to give a few helpful hints with the sole purpose to educate others. Note Carnival, the cruiseline mentioned in this post, did not compensate me. They just happened to be the first cruise line I tried. 1. Seek out good deals with short cruises. Many are available from the Port of Los Angeles (Long Beach and San Pedro). Some cruise lines offer 3 and 4 night cruises for a very comfortable price. 2. Book an inside cabin, in the center of the boat and on a lower floor. Less rocking happens in this part of the ship.